On Friday, February 24 President Donald Trump ordered federal agencies to begin identifying rules for elimination that harm industry. The latest Executive Order from Trump allows federal agencies to create regulatory reform task forces to find unnecessary regulations to repeal, replace or modify. The order directs every federal agency to establish a task force to ensure each has a team to research all regulations and determine those considered burdensome to the U.S. economy. Also, they must designate regulatory reform officers within 60 days and must report on the progress within 90 days to the White House. After Trump signed the executive order he promised businesses that he would end the “regulation industry.” “We're going to put regulation industry out of work and out of business,” Trump said in the speech at the conference Friday. “I want regulations for safety, I want all regulations that we need, and I want them to be so strong, and so tough, but we don't need 75 percent of the regulations,” he added. Many advocacy groups, including environmentalists, labor unions and consumer advocates, are not in support of the Executive Orders addressing regulations. The day prior to the signing, Trump met with chief executives of two dozen major U.S. companies and talked about the need for reducing regulations to boost job creation. Many were present the next day to witness the signing of the order. The Jimmo Settlement may reflect a change in practice for those providers, adjudicators, and contractors who may have erroneously believed that the Medicare program covers nursing and therapy services under these benefits only when a beneficiary is expected to improve. The Settlement is consistent with the Medicare program's regulations governing maintenance nursing and therapy in skilled nursing facilities, home health services, and outpatient therapy (physical, occupational, and speech) and nursing and therapy in inpatient rehabilitation hospitals for beneficiaries who need the level of care that such hospitals provide. The South Florida Sun Sentinel reported lawmakers and advocacy groups in both Florida and nationally are pushing for "observation status" reform. The groups are concerned that a growing number of seniors admitted to hospitals receive "larger-than-expected hospital bills due to" Medicare not covering some benefits of patients classified as "under observation." The designation has increased in use "from 932,000 [days] in 2006 to almost 1.9 million in 2014," partially due to "Medicare’s ‘two-midnight’ rule, implemented in October 2013, that stated many patients expected to stay in the hospital fewer than two nights should be under observation instead of admitted as inpatients." For more information about observation stays, visit the AHCA/NCAL website. An applicable large employer also must furnish the Form 1095-C to each full-time employee on or before March 2, 2017. This due date reflects a 30-day extension from the general due date (that is, January 31 of the year immediately following the calendar year to which the information relates). This extension was provided by the IRS in Notice 2016-70 on November 18, 2016. The IRS has a Frequently Asked Questions document about these two mandatory forms. For more information about these reporting requirements, go to Reporting of Offers of Health Insurance Coverage by Employers on IRS.gov/aca. While there is much discussion in Washington about repealing and replacing the ACA, employers should continue to comply with the ACA requirements. This means that employers with 50 or more FTEs should plan on submitting the mandatory employer reporting forms to the IRS for the 2016 tax year. In addition, if an employer is currently renewing their employee health benefit plan, they should choose a plan that is ACA compliant. AHCA/NCAL Insurance Solutions was created to help members save money on their employee benefit plans. To explore your health plan options available through AHCA/NCAL Insurance Solutions, contact Dave Kyllo at 202-898-6312 or Nick Cianci at (202-898-2841) or email us at ahcainsurancesolutions@ahca.org. On Wednesday, February 15, some of AHCA’s State Veterans Home (SVH) members were in town for the National Association of State Veterans Home’s 2017 Winter Conference, and advocated on Capitol Hill on a number of issues including the observation stays matter, Medicaid, and SVH construction grant program funding. SVHs are facilities that provide nursing home, domiciliary or adult day care. They are owned, operated and managed by state governments. More on SVHs can be found on the VA website here. Pictured from left to right are Congressman Greg Walden (R-OR-2nd District) and individuals associated with the Oregon SVHs including Cheryl Maitland and Van Moore (at right). Many policymakers and government agencies have stated a belief that the SNF prospective payment system over-incentivizes therapy service delivery. Provider utilization patterns are often scrutinized to identify potential areas to target medical review efforts, but until recently, provider utilization patterns were not subject to public review. On January 18, 2017, the Centers for Medicare and Medicaid Services (CMS) released a public use file (PUF) that provides facility-specific, state, and national aggregate information about the Medicare SNF prospective payment system (PPS) utilization for calendar year 2014. These files, part of the CMS transparency initiative, can be easily downloaded by the public, and contain facility-specific information. The file details include the facility name, address, SNF PPS resource utilization group (RUG) patient volume, number & length of Medicare stays, charges & payments, beneficiary characteristics, and percent of therapy assessments within 10 minutes of the minimum qualifying threshold. This program will explain what the SNF PUF is, why it is important, and what type of information is presented in the PUF. Additionally, the program will include highlights of key observations and trends observed in the PUF data overall. Finally, you will learn how you can access the PUF files, and identify your facility-specific data reported in the PUF, to see where your SNF PPS patient population and utilization trends compare to other SNFs. Presenter will be Dan Ciolek, Associate Vice President, Therapy Advocacy, AHCA. Kaiser Family Foundation has released a new interactive tool that enables users to create side-by-side comparisons of major ACA alternative plans. According to the Kaiser Family Foundation, with the tool, users can compare the plans’ approaches to more than a dozen key areas of health policy, including individual insurance market rules, requirements and provisions for employers, benefit design, Medicaid, and Medicare. For now, continue to comply with the ACA requirements because it is still the law. AHCA/NCAL has created a special web page containing the latest news related to the ACA and will send communications to members about important ACA developments as they occur. This week, the Centers for Medicare and Medicaid Services (CMS) released information regarding two important changes to the Payroll-Based Journal (PBJ) system that will make it easier for providers to successfully submit hire, termination and rehire information for employees. Since the implementation of the system, the American Health Care Association (AHCA), providers and other organizations have advocated for fixes that create efficiencies in the collection of staffing data. The two changes (listed below) are a step in the right direction. AHCA is pleased with CMS' actions and looks forward to continuing to find solutions that support providers in submitting their data. For more on the latest changes, click here. The Association also continues to seek feedback from providers on the challenges they face with the system. If you have any questions or concerns, please email the PBJ team at staffdatacollection@ahca.org. Vice President, Development at Genesis HealthCare and AHCA Vice Chair Michael Wylie joined nearly 60 national long term care professionals last week at the National Summit on the Future of America’s Nursing Home Industry in Philadelphia. The event – hosted by the Targeting Revolutionary Eder Care Solutions (TRECS) Institute and the Leonard Davis Institute of Health Economics at the University of Pennsylvania – was an opportunity to discuss how to improve care and reduce costs in the profession. Develop regulatory and reimbursement principles for the long term care profession to maintain quality of care for Medicaid enrollees in a shifting payment environment. TRECS Institute Executive Director John Whitman, MBA, NHA, opened the day with a State of the Industry address. He highlighted issues such as changing payment models, changing patient/resident characteristics, staffing, regulatory oversight, and the Five-Star rating system. Participants were then asked to design the nursing care center of the future. Several break-out groups focused on different areas, including design, payment, technology, and more. Mr. Wylie led the discussion on nursing home design, focusing on the need for a specialized memory care unit, a large therapy and public area, treatment rooms for specialty services such as dental and ophthalmology, and a robust telemedicine program. A full report is being developed based on discussion at the Summit and will be shared with the Centers for Medicare and Medicaid Services (CMS). It is intended to identify achievable changes to the current system with the ultimate goal of improving care and reducing costs. Last week, the Centers for Medicare and Medicaid Services (CMS) delayed the effective date for the second mandatory hospital bundling program issued on January 3, 2017. AHCA/NCAL had asked for the delay. In a letter to the Trump Transition Team, the Association included a request that the incoming administration carefully scrutinize the Episode Payment Models (EPM) final rule for possible significant changes or to completely rescind the rule. The rule implemented three new mandatory EPMs: coronary artery bypass graft (CABG); acute myocardial infarction (AMI); and surgical hip/femur fracture treatment (SHFFT). The two cardiac episodes will be tested in 98 Metropolitan Statistical Areas (MSAs) across the country, while the SHFFT episode will be tested in the 67 MSAs currently participating in the Comprehensive Care for Joint Replacement (CJR) demonstration. Under the program, hospitals will be held accountable for total Medicare Parts A and B spending, as well as performance on certain quality measures, during 90-day episodes of AMI, CABG and SHFFT episodes, depending on where the hospital is located. Hospitals may share in risk and in savings with other provider types, including skilled nursing centers, but they are not required to do so. The EPMs will begin on July 1, 2017, and will run for almost five years, through 2021. While this is a step in the right direction, it is important to continue advocating on behalf of the millions of patients and residents we serve. AHCA/NCAL will host a Congressional fly-in on March 21-22 to visit Capitol Hill and ask members of Congress to put pressure on CMS over the issue of excessive Civil Monetary Penalties and survey relief. For more information or to participate, please contact Matt Smyth. AHCA’s Intellectual and Developmental Disabilities Residential Services Providers annual Hill Fly-In event will occur on March 22. Contact Dana Halvorson with any questions or to register. Furthermore, AHCA/NCAL will host its annual Congressional Briefing June 5-6 at the Hyatt Regency Washington. You have a lot to keep track of: Five Star ratings, quality measures, staffing, quality awards … the list goes on. It’s challenging enough to keep a center going, nonetheless keep track of every aspect. However, properly keeping track of this information could set your center apart from those that just stay afloat, to those that thrive. That’s why the American Health Care Association/ National Center for Assisted Living (AHCA/NCAL) created LTC Trend Tracker, a web-based tool that enables long term and post-acute care providers to find all this information in one central place. This service helps long term and post-acute care providers, including assisted living, to access key information that can help their organization succeed. It gives you access to government data collected by the Centers for Medicare and Medicaid Services (CMS) on skilled nursing centers. All this data is at your fingertips, and with it, you can build and save custom reports to understand your performance. This week, LTC Trend Tracker has a new publication, Your Top-Line, which was sent directly to your email inbox on Tuesday, February 21. This quarterly report for skilled nursing centers will highlight your facility’s progress on Five Star performance, the quality initiative, and help you understand your survey rating and score breakdown. Check out the new user-friendly design and easy snapshot of data. The figures and colorful graphics are designed to help improve patient care with tailored tools that will allow your organization to easily monitor survey information, quality measures, quality initiative progress, quality awards and five star data. In order to receive the Top-Line publication, you must be a current user of LTC Trend Tracker. Please register at www.ltctrendtracker.com as a single organization or if you are part of a multi-facility organization, please have your corporate office register you also at www.ltctrendtracker.com. In addition to the email you will receive, LTC Trend Tracker keeps all of these publications saved in your account. After logging in, click on Manage Publications and then View and Download Publications. It will then allow you to select the publication you wish to view. If you’re unsure about LTC Trend Tracker and availability, please email help@ltctrendtracker.com. Early registration deadline has been extended for IO Leadership Conference! You have until February 17th to register, but don't delay! We'd hate for you to miss out on seeing your colleagues, earning CEUs, and learning lots of new strategies to deal with your everyday challenges. Get the early registration savings, and bring your family for some Disney fun in the sun. This year's IO Leadership Conference has special Networking and Social Activities to choose from, and to make sure you have a chance to participate in the activity of your choice, we have extended that deadline as well. Pre-registration is required, so make sure to register for the conference and choose your activity as soon as possible. The activity deadline is February 15. If you have already registered for the conference but would like to add a networking activity, EDIT YOUR REGISTRATION, sign in using the e-mail address you used when you registered, and select your outing. Visit IO.ahcancal.org to learn more. 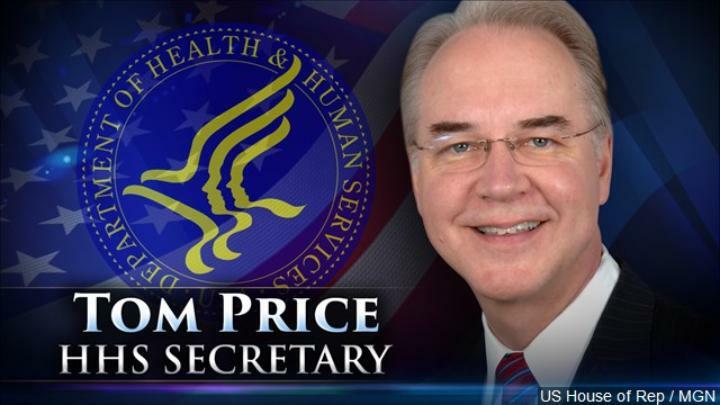 Dr. Tom Price early Friday received Senate confirmation of his nomination to be Secretary of Health and Human Services (HHS), the top health post in President Trump’s administration. Price was confirmed 52-47 on a party-line vote held around 2 a.m. on Friday after Democrats extended debate over concerns about Price’s financials and views on health care reform. As secretary, Mr. Price will be responsible for a department with an annual budget of more than $1 trillion and authority over the Medicare and Medicaid programs. The former orthopedic surgeon and Member of Congress from Georgia since 2005 was tapped for the cabinet position due in part to his previous plans to unravel the 2010 health care law. 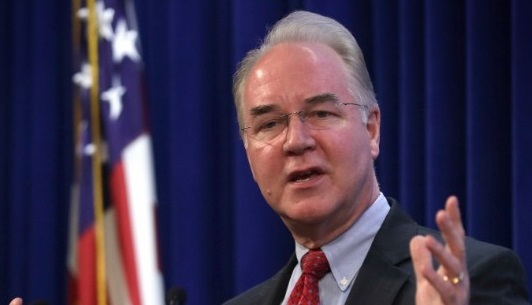 As a Representative, Price authored a bill repealing and reforming the health care law. Senate Majority Leader Mitch McConnell said Price “knows more about health care policy than just about anyone.” In the last legislative session, Price served both as Chair of the House Budget committee and as a member of the Ways and Means Subcommittee on Health, which has broad jurisdiction over Medicare. Price’s confirmation sets in motion the confirmation process for Seema Verma, the administration’s nominee for Director for the Centers for Medicare and Medicaid Services (CMS). Verma will have her first confirmation hearing before the Senate Finance Committee on Thursday, February 16. The US Department of Health and Human Services, Office of Inspector General (OIG) has released its updated List of Excluded Individuals and Entities (LEIE) database file, which reflects all OIG exclusions and reinstatement actions up to, and including, those taken in January 2017. This new file is meant to replace the updated LEIE database file available for download last month. Individuals and entities that have been reinstated to the federal health care programs are not included in this file. The updated files are posted on OIG’s website at http://www.oig.hhs.gov/exclusions/exclusions_list.asp, and healthcare providers have an “affirmative duty” to check to ensure that excluded individuals are not working in their facilities or face significant fines. Instructional videos explaining how to use the online database and the downloadable files are available at http://oig.hhs.gov/exclusions/download.asp. Given the penalties and recent government warnings, long term care providers should check the LEIE on a regular basis. Learn what you need to know to inform, educate, and empower community members, people with dementia, and family caregivers in this webinar series starting with Webinar 1: Alzheimer's and Dementia Resources You Can Use. Free continuing education credit is available (CNE, CEU, and CECH). Presented by the National Institute on Aging (NIA/NIH), the Administration for Community Living (ACL), and the Centers for Disease Control (CDC). Join us for an update on Alzheimer's and dementia issues and resources in Webinar 1: Alzheimer's and Dementia Resources You Can Use. The PEPPER team has updated the maps that display the PEPPER retrieval rate for PEPPERs accessed via the PEPPER Resources Portal for each state/territory. See Map of SNF PEPPER retrievals by state. The Office of Medicare Hearings and Appeals (OMHA) has introduced a new unified Request for ALJ Hearing or Review of Dismissal form (OMHA-100) to replace the current Request for ALJ Hearing form (CMS-2003A/B) and Request for Review of Dismissal form (HHS-725). An accompanying Multiple Claim Attachment (OMHA-100A) can be used to identify multiple beneficiaries or enrollees associated with a single request. According to a February 10, 2017, email from the Centers for Medicare & Medicaid Services (CMS), manual instructions regarding implementation of the Medicare Outpatient Observation Notice (MOON) are now available on the CMS website. The new manual instructions provide more specific detail on notice delivery and are available online. Americans aged 65 will nearly double to 88 million between now and 2050. It is estimated that 70 percent will require some form of long term care. Because of this surge, the Bureau of Labor Statistics estimates that the country will need an additional 1.1 million paid caregivers to care for this population. A workforce development strategy to recruit, develop, and retain talented caregivers has been challenging. Fortunately, there may be a solution in the near future to remedy this problem. Recruiting, developing and retaining talented caregivers has been a priority for many long term care leaders and a unique partnership is a compelling start. 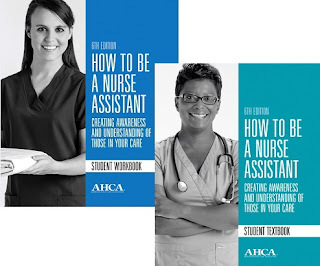 The Nursing Department at Bethel University, the American Health Care Association (AHCA), and Academic Partners have created a new online program that utilizes the How to Be a Nurse Assistant curriculum into an online format that can be used with nursing students as a baseline course. With the expertise of Academic Partners, this online technology combined with a high quality curriculum is now available online. 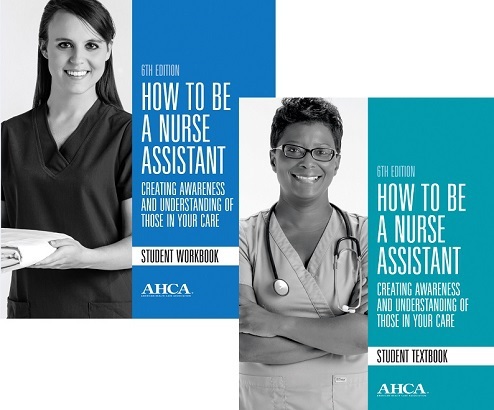 AHCA is excited about the new blended Certified Nurse Assistant ( CNA )online program and the potential solutions it offers for the workforce challenges in the profession, specifically the need for more certified nurse assistants. More than 20 AHCA state affiliates are already working to advance the program, moving it through the state by state approval process. And there is still an opportunity for many more states to take advantage of this new offering. This partnership hopes the new blended online CNA program will help ease the workforce challenges in the long term care profession, specifically the need for more CNAs. Potential students need reliable, flexible and technology-enabled options. As such, this partnership creates a nursing pathway from CNA to LPN (licensed practical nurse) to RN (registered nurse) to BSN (bachelor of science) to PA (physician assistant). An online training program such as this will help train future caregivers that are vital to providing quality care for the increased aging population in years to come. Learn more about the program by visiting http://cnaonline.ahca.org/. Please contact Jon Patrick Ewing (202-898-2834) with any questions or to find out if this program is available in your state. Nutrition plays a critical role in quality of life and care with the aging. Providers are expected to implement current “best practice” with nutrition to include balancing “risk vs benefit” with person-centered care. This session will provide the most current “best practice” recommendations related to nutrition along with resources to assist in carrying out at the facility level. · Identify current Best Practice standards with Nutrition and Aging. · Discuss current Best Practice standards with Nutrition related to Malnutrition, Wounds, and Hydration. · Know available Best Practice Resources to support implementation at the Facility Level. The House Energy and Commerce Committee is gearing up to take on Medicaid reform this year and first votes on changes to the program came this week. The Energy and Commerce Subcommittee on Health voted Tuesday on provisions that would adjust Medicaid eligibility for lottery winners and annuities. The measures, while small, highlight the beginning of an effort by the committee to make broader changes to the Medicaid program, especially the parts changed by the 2010 health care law. The Energy and Commerce Committee has also held several hearings on the subject of Medicaid, including how to protect its most vulnerable beneficiaries and how to modify oversight. A key player in health care reform, Secretary of Heath and Human Services nominee Rep. Tom Price, is slated for a confirmation vote before the full Senate later this week. President Trump’s nominee for Secretary of Education, Betsy DeVos, was confirmed Tuesday on a 51-50 vote where Vice President Mike Pence voted to break a tie. Spring is just around the corner and students are thinking about graduation. The AHCA/NCAL Long Term Care Career Center, is a great resource for nursing students and high school and college seniors who are interested in careers in long term care or health care. Our Center contains a Career Learning Center that includes great resources for creating powerful resumes and acing job interviews. According to a February 5 Fox News’ Bill O’Reilly interview, President Trump noted that the Obamacare replacement could take into next year. This timetable is a more cautious one over what the President has said in the past. You can read more about the Trump interview in this Politico news story by Tara Palmeri. As noted in a previous AHCA/NCAL communications, for now, continue to comply with the ACA requirements because it is still the law. AHCA/NCAL has created a special web page containing the latest news related to the ACA and will send communications to members about important ACA developments as they occur. On February 1, companion bills were introduced in the Senate and House of Representatives seeking to amend title XVIII of the Social Security Act to repeal the Medicare outpatient rehabilitation therapy caps. The Senate bill (S. 253) original sponsors include Senator Ben Cardin (D-MD), Senator Susan Collins (R-ME), Senator Bob Casey (D-PA), and Senator Dean Heller (R-NV). The House bill (H.R. 807) original sponsors include Rep. Paulsen (R-MN), Rep. Ron Kind (D-WI), Rep. Marsha Blackburn (R-TN), and Rep. Doris Matsui (D-CA). The bills also have many other original cosponsors. The Part B therapy caps were established as part of the Balanced Budget Act of 1997 (BBA), and established per-beneficiary limits on outpatient therapy coverage. In 2017, the cap limits are $1,980 for physical therapy (PT) and speech-language pathology (SLP) combined, and a separate $1,980 cap for occupational therapy (OT). However, per provisions of the Medicare Access and CHIP Reauthorization Act (MACRA) of 2015, outpatient therapy providers can furnish services above these amounts if the provider attests that the services are medically necessary under an exceptions process. The MACRA provisions also requires the Centers for Medicare and Medicaid Services (CMS) to conduct limited targeted manual medical review on services above a $3,700 per-beneficiary threshold for PT/SLP combined and OT. The MACRA provisions are due to expire on December 31, 2017 and without Congressional action, Medicare beneficiaries will no longer be able to receive covered services above the annual cap limits. AHCA is grateful for the efforts of the members of the House and Senate that have reintroduced and are co-sponsoring this legislation that seeks to assure that over 1 million beneficiaries, including residents of SNFs and Assisted Living Centers, continue to have access to necessary outpatient PT, OT, and SLP services. If you have questions, please contact Dan Ciolek, AHCA’s Associate Vice President, Therapy Advocacy. A U.S. District Court Judge in Vermont filed a decision on February 1 ordering the Centers for Medicare and Medicaid Services (CMS) to implement a Corrective Action Plan to improve education related to the coverage of skilled therapy and nursing services needed to maintain health and function, or “Maintenance Coverage”. This decision impacts beneficiaries covered by Medicare Parts A & B, as well as and Medicare Advantage, including those residing in nursing facilities and assisted living centers. This decision follows from an August 17, 2016 decision in Jimmo v. Burwell that ruled that CMS did not comply with part of the January 21, 2013 Jimmo v. Sebelius Settlement Agreement. The initial settlement included an agreement that added a “Maintenance Coverage” standard, and CMS agreed to update their benefit policy and coverage manuals, engage in a nationwide educational campaign, and be subject to other monitoring activities to address disputes for three years. On March 1, 2016, the plaintiffs filed a motion to enforce the Settlement Agreement arguing that the CMS educational campaign “was so confusing and inadequate that little had changed,” and that beneficiaries with chronic and progressive conditions under Medicare Part A, Part B and Medicare Advantage, were being denied access to and coverage for skilled therapy and nursing services to prevent or delay decline. 5. CMS conduct a new National Call to explain the correct “Maintenance Coverage” policy. Additionally, since the plaintiff’s and CMS could not agree on the language to be included in the “Corrective Statement” language to be published, the judge ordered the following statement, based mostly on suggested plaintiff language, to be published. “Skilled nursing services would be covered where such skilled nursing services are necessary to maintain the patient's current condition or prevent or slow further deterioration so long as the beneficiary requires skilled care for the services to be safely and effectively provided. “Skilled therapy services are covered when an individualized assessment of the patient's clinical condition demonstrates that the specialized judgment, knowledge, and skills of a qualified therapist ("skilled care") are necessary for the performance of a safe and effective maintenance program. Such a maintenance program to maintain the patient's current condition or to prevent or slow further deterioration is covered so long as the beneficiary requires skilled care for the safe and effective performance of the program. American Health Care Association (AHCA) and National Center for Assisted Living (NCAL) members in good standing may submit an application for the 2017-18 elections for the AHCA Board of Governors and the NCAL Board of Directors. This webinar will explain the application, credentialing and campaign process. It is perfect for those interested in running this year or in future years. · Understand what the AHCA/NCAL Board applications require. · Learn about the credentialing and campaign process. · Identify what is required of AHCA/NCAL Board members. 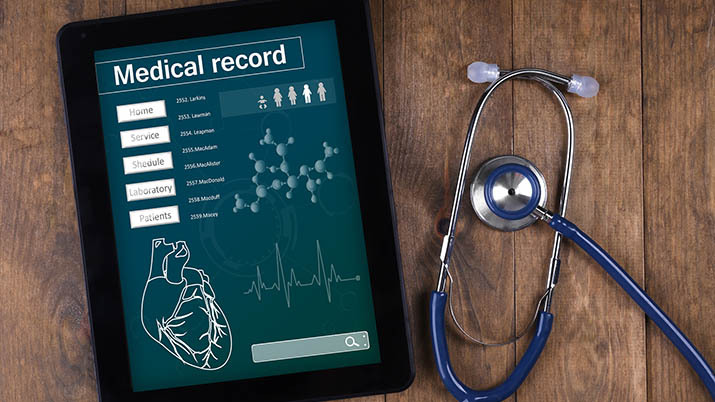 Requests for medical records are on the rise. From litigation to audits, providers are regularly required to provide and attest to the accuracy of the medical records of their residents. This webinar will highlight the challenges and opportunities provided by the use of EHR technology. 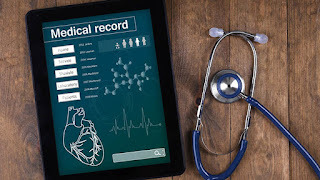 Specifically, it will discuss the production of clinical records required in connection with audits, regulatory matters and legal claims. The webinar will address specific issues relating to the production of the clinical record including export distortion, eDiscovery and audit trails. As the use of eHR’s becomes ubiquitous; providers must understand how to manage the risks and adapt their policies and procedures. The session will enable providers to understand key risk management and information governance issues relating to their use of EHR’s. Document retention policies, privacy and security issues and regulatory compliance will all form part of the presentation content, and which each have direct governance impact to senior care providers. With just a few clicks of a button, LTC Trend Tracker gives you access to government data collected by the Centers for Medicare and Medicaid Services (CMS) on skilled nursing centers and – providing you with one central hub for all your reporting needs. For assisted living members, LTC Trend Tracker allows you to upload and track key quality metrics. The LTC Trend Tracker team knows there is a lot of information and data at your fingertips. How do you navigate through all the useful information? Join the team on the next Live Webinar on Friday, February 10th at 2:00 PM Eastern Time. Register online for access to live help. What items will be discussed on this webinar? What is the time frame for responses from the help desk? I have errors in my data file, how do I get this corrected so I can upload data? Please email help@ltctrendtracker.com if you have any questions. 2017 Independent Owner Leadership Conference Deadline Is Friday! This is your chance to attend the most important Independent Owner conference of the year. Register by Friday, February 3rd to take advantage of unique educational and networking opportunities AND terrific savings. See the complete agenda for details on all the education sessions and learn how you can earn 10 CEUs. The deadline to register for the Networking and Social Activities is also next Friday, February 3rd, so act fast! Pre-registration is required, and we don't want you to miss out. If you have already registered to attend the conference, you must add the activity of your choice by Friday. Click Edit Registration, and then sign in with the e-mail address you used to register for the conference. A new webpage on the NCAL website offers a one-stop shop for all resources related to interacting with current residents, their loved ones and potential customers. The Customer Relations webpage, housed under Community Operations, also offers member providers the ability to request complimentary, professionally-printed copies of a number of brochures developed by NCAL. Additionally, Customer Relations includes the NCAL Guiding Principles for Providing Information to Consumers, developed by the NCAL Customer Relations Committee and approved by the NCAL Board of Directors. The guiding principles outline the association’s commitment to ethical marketing practices and full disclosure of information to assisted living customers. The National Institute on Aging (NIA) released a new resource: A Guide for Older People: Talking with Your Doctor. The guide is available in PDF form and in Spanish. The resource covers helpful topics like choosing a doctor including questions and a checklist to guide a resident's decision. The guide includes tips on getting ready for a doctor's appointment and worksheets for residents or families to complete prior to the appointment to ensure important information is shared. The resource provides information on how to be involved with health care decisions and what questions to ask when considering different treatments, learning about prevention, and exercise. Other important topics included are: how to evaluate online health information, discussing sensitive subjects with a health care professional, hospitalizations, and advance directives. The confirmation process for Rep. Tom Price, nominee for Secretary of Health and Human Services, was delayed on Tuesday when Democrats walked out of a key procedural vote. Democrats on the Senate Finance Committee refused to be present for a vote that would send the confirmation process to the full Senate floor. Senate Finance Committee rules require at least one member of the minority party be present to reach a quorum to call a vote. Senate Finance Republicans, however, gained approval Wednesday from a Senate Parliamentarian to suspend the rules, allowing a simple majority to confirm nominees out of the committee. This allows Republicans to send a confirmation vote on Price to the full Senate floor. Concerns over the speed of the confirmation process and lingering questions over stock purchases Price made while a Member of Congress were key points of the Democrats' decision to delay the vote. Republicans accused the Democrats of slowing the process in an attempt to prevent progress on health reform efforts. Democrats’ walk out also delayed the committee vote for Treasury Secretary nominee Steven Mnuchin, but again, the Republicans advanced Mnuchin's nomination by suspending the Committee rules. Thus far, four of President Trump’s cabinet picks have been confirmed by the Senate: Rex Tillerson as Secretary of State, James Mattis as Secretary of Defense, Elaine Chao as Secretary of Transportation, and John Kelly as Secretary of Homeland Security. Two other cabinet-level positions that require Senate confirmation have also been finalized: Mike Pompeo as Director of the C.I.A. and Nikki Haley as U.N. ambassador.